Brand new for Fall 2011, the Klim Element Gloves - Long and Short - have arrived as the ADV touring glove complement to the brand new Klim Latitude and Klim Badlands Pro combos. These gloves are loaded with innovative technologies, comfort and performance features, and premium materials that will enable them to easily compete head-to-head with the top-end offerings from other leading ADV gear manufacturers. Video reviews will be coming in the extremely near future, but for now, we will discuss some of the features and functionality of these brand new gloves. The shell of the Klim Element Gloves is Pittards Armor-Tan, a premium proprietary leather that offers higher abrasion resistance than traditional cowhide thanks to a unique treatment and tanning process. Within the leather, there are microscopic fibers woven together and encased in ceramic plates for extreme resistance to abrasion and ease of sliding in a get-off scenario. The main knuckle is armored with a titanium hard part protector that is backed by Poron XRD, all of which is on its own panel for mobility. Poron XRD is a molecular-level padding (similar to d3o, SaS-Tec) that is soft, malleable and comfortable but becomes extremely rigid upon impact and disperses the energy, preventing damage to the body. Poron can also be found at the palm, finger knuckles, and protecting the pisiform bone. Aramid-reinforced sliding zones can be found in common slide areas to protect in a get off situation. At the palm, the pre-curved box fingers use external stitching to prevent pressure points and fatigue. 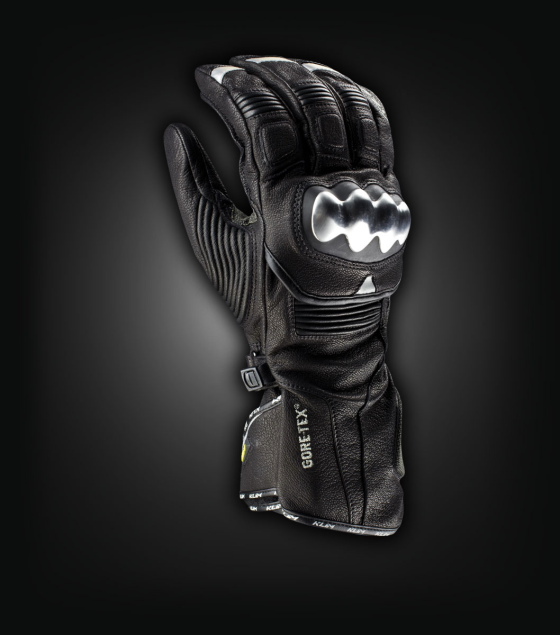 Strategic accordion stretch panels can be found across the fingers, at the crook of the thumb, and across the back of the hand on full gauntlet Klim Element Long. 3M Scotchlite reflective accent panels at the backhand and fingers offer high visibility for nighttime riding. There is a visor wiper on the left index fingers on both versions of this glove to easily clean a shield, lens, or goggles. The Klim Element Short uses a single cuff neoprene wrist closure while the long version has an adjustable double velcro gauntlet closure system. Both of these gloves features a Gore-Tex waterproof breathable membrane, guaranteed for life to keep you dry and let your skin breathe. Stepping up to the full gauntlet version gets you a few more features than the short version. First, there is additional Poron XRD padding along the outside of the pinky finger to protect from that all-too-common pinky injury in a get-off-and-slide scenario. The Klim Element Long Gloves also feature ulna protection in the form of Poron XRD padding beneath an Aramid sliding zone. Of course, you also get the protection via leather of a full-length gauntlet. 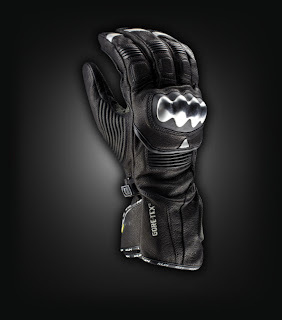 Depending on your riding style and overall preference, one of these gloves is sure to be a homerun for you this season.